You’re familiar with BuzzFeed, right? The wildly popular media site is known for its array of eclectic content including videos, listicles, infographics, celebrity gossip, surveys, and (so many) cats. The site was founded in 2006, but skyrocketed to Internet fame over the last few of years, tripling its website traffic. In August of 2014, BuzzFeed raised more than $50 million in venture capital and is now valued at $850 million. Why are we talking about BuzzFeed? Well, they produce an insane amount of viral content, something most businesses wish they had the time or energy to do. However, producing a large quantity of content isn’t entirely what makes BuzzFeed successful. As Jonathan Perelman, VP of Agency Strategy and Industry Development at BuzzFeed pointed out during the PRSA Digital Impact Conference, “Content is king but distribution is queen, and she wears the pants.” Creating great content, but also knowing how and where to distribute it is key. “You have to understand how content spreads across the web,” added Perelman. 63% of social media is made up of images according to Citrix. Photos account for 93% of the most engaging posts on Facebook according to Socialbakers. Photos get 53% more Likes, 104% more comments, and 84% more click-throughs on Facebook according to KissMetrics. On Twitter, tweets with images receive 18% more clicks, 89% more favorites, and 150% more retweets according to Buffer. Adding a photo URL to your tweet can boost tweets by 35% according to the Twitter Media Blog. Instagram currently has 300 million monthly active users and 70 million new photos are shared each day. Now take a look at the Twitter feeds of both Mashable and BuzzFeed below. See how many images they post, and in a row? Visual content is more important than ever for igniting engagement; you should start creating and sharing it ASAP. Don’t have any images? Make them. This is especially good for businesses who offer a service rather than a physical product, and may not have much to show in the photo department. Creating your own images is also an excellent tactic for re-purposing text-only content into enticing images. Here are some examples: Turn quotes into an interesting slideshow, post an event announcement on a pretty picture, place stats onto eye-catching graphs, give a blog post title some pizzaz, create an infographic about the history of your biz, create a catchy, custom featured image for a video, etc. The possibilities are endless. To help you create images that get BuzzFeed-worthy engagement, here are 13 of our favorite and easy-to-use visual content creation tools. 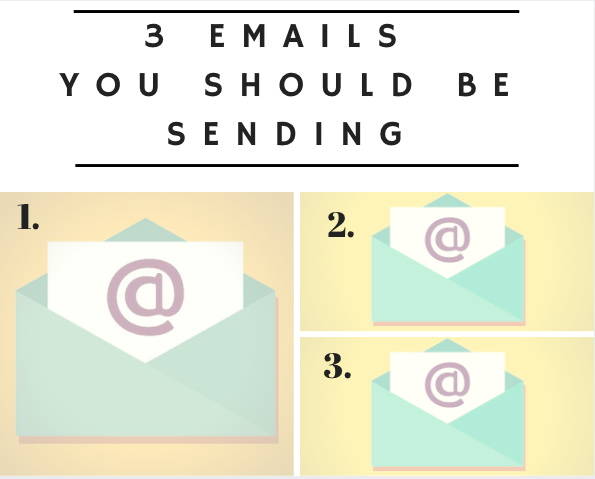 Canva is an easy, free, (and pretty darn fun) image creation tool. Don’t be surprised if you find yourself getting happily sucked down an image-making vortex with this tool, because it’s easy to do. They have a variety of image sizes and types to choose from, including Facebook, Twitter, Instagram, and Pinterest posts or covers. You can select from various backgrounds, layouts, banners, templates, fonts, etc. Several images are free, you can upload your own, or drop $1 for an image in the app. I made this simple image below advertising one of our recent blog posts in just a few minutes. Infographics are all the rage, but who has a designer on hand? You do now, and surprise, it’s yourself! 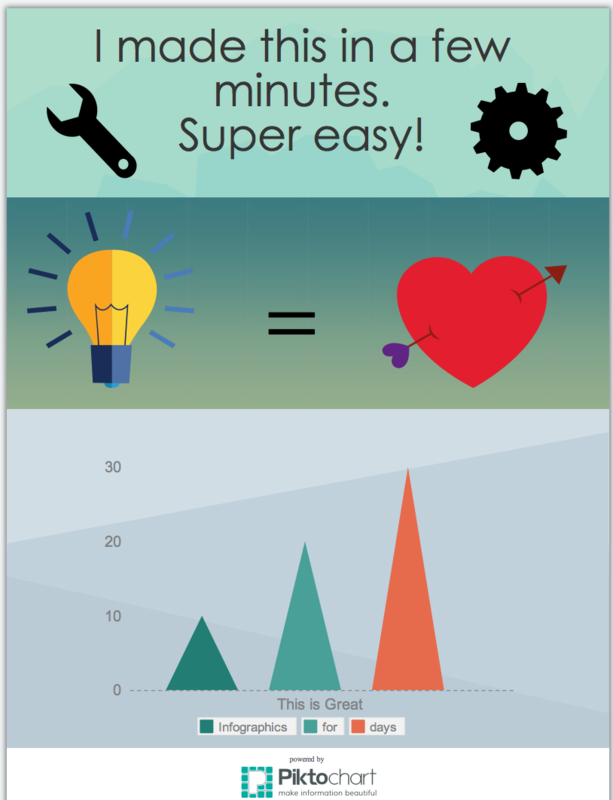 Thanks to Piktochart or infogr.am, you can whip up an interesting infographic fairly quickly. Both Piktochart and Infogr.am offer free themes. Infogr.am is best for implementing lots of data into graphs. Piktochart gives you the ability to create your own infographic with several free images or graphs, or you can “go pro” for $29 a month for more templates, uploads and privacy controls. The free versions do include watermarks below. Pssst… You can also just crop that out – Don’t tell. Want to show off your website, product or service in action? Enter: Placeit. This tool allows you to upload an image or grab a screenshot directly from a URL and “place it” onto a variety of iPhone, laptop, or tablet images. A free download comes in at 300×400 pixels, plus it includes free editing capabilities. Larger images start at $8. Skitch is a product of Evernote, though you don’t need to be an Evernote user to reap the benefits. It’s a downloadable app that also allows you to capture a screenshot, edit and add commentary, directly in the same screen. If you’re not an Evernote user, go to File > Export to save your image. Who wants to make an interactive and linkable image to share on social? You do! ThingLink allows you to upload images, add icons that appear when you hover over the image or video, and link those icons to various parts of your website or blog – Pretty cool and fun to use. This shouldn’t be a newsflash to anyone, but Photoshop is expensive! It’s also kind of hard to use if you don’t know what you’re doing. Pixlr, BeFunky and PicMonkey all give you very similar (but easy) Photoshop capabilities without having to download or buy any software. Want to make a simple slideshow or presentation without having to use (gasp) PowerPoint? I feel you on that one. Check out Haikudeck. It’s free and great for implementing small amounts of text, quotes, data, etc. onto simple but visually pleasing and sharable decks. They have free backgrounds available, or you can upload your own. Share your deck on social, embed it on your site, or download the deck as a .PDF or .PPT file. PowToon allows you to create fun, animated videos or presentations (animation skills not required). These are useful for creating product demos and/or explainer videos. The tool is free to use, or upgrade for more character options and effects. PowToon is almost too much fun, though it can be slightly time-consuming. Everyone loves a good meme. Join in on the fun by using either of these simple, free meme generators. Create a “rage” comic, or choose from and add a caption to a variety of the ‘usual suspects’ such as “First World Problems,” “Socially Awkward Penguin,” or “Forever Alone.” However, humor can be harder than you think – proceed with caution when attempting to write something funny. With these 13 creation or editing tools, you should be well on your way to sharing more interesting and engaging images. Have a favorite visual content tool of your own? Share it with us below. For more design help, check out these blog posts. Like this blog post? Subscribe to our email newsletter and receive posts like this one delivered to your inbox once a week.